Electric Truck Market To Witness Evolutionary Growth With 15% CAGR By 2023. Global Electric Truck Market Research Report: Information by Truck Type (Medium Duty and Heavy Duty), Material (Battery, Plug-In Hybrid, Hybrid, and Hydrogen Fuel Cell), Application (Logistic, Municipal, Others) and Region. 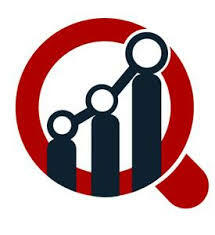 Pune, India - February 11, 2019 /MarketersMedia/ — Electric Truck Market To Witness Evolutionary Growth With 15% CAGR By 2023. Global Electric Truck Market Research Report: Information by Truck Type (Medium Duty and Heavy Duty), Material (Battery, Plug-In Hybrid, Hybrid, and Hydrogen Fuel Cell), Application (Logistic, Municipal, Others) and Region. The foremost companies in the electric truck market consist of Isuzu Motors Ltd (Japan), Daimler AG (China), AB Volvo (Sweden), Dongfeng Motor Corporation (China), PACCAR Inc. (US), FAW Group Co., Ltd. (China), Navistar, Inc. (US), Foton Motor Inc. (China), China National Heavy-Duty Truck Group Co., Ltd., (China), and BYD Auto Co., Ltd. (China) are among others. The increasing prices of fuel globally have increased the popularity of electric vehicles. The established market players are also increasingly partnering with specialists in electric powertrain to introduce cleaner and efficient electric trucks in the market. Augmented per capita disposable income and transport activities globally are expected further optimize the progress of the electric truck market in the coming period. The governments in various regions such as those in Europe and North America started imposing stricter emissions targets. Government of different countries are planning to find ways to incentives fleets owner in electric trucks which result in lower vehicle emission level and opportunities for new entrants in the global market for electric trucks market. Growing demand for smart transport, government backing for purchase of smart automobiles, and increased charging infrastructure around the different parts of the world will further boost the market growth for the electric trucks and open up new opportunities for new players in the market. However, it is estimated that the high prices of the electric truck hampers the revenue for the electric truck market. Global electric truck market is segmented on the basis of truck type, charge type, application, and region. On the basis of truck type, the market has been segmented into medium duty and heavy duty. On the basis of charge type, the market has been segmented into battery, plug-in hybrid, hybrid, and hydrogen fuel cell. On the basis of application, the market has been segmented into logistic, municipal, and others. The regional analysis of the electric truck market consists of regions such as Europe, Asia Pacific, North America and the rest of the world. It is projected that regions such as Europe, and North America will be responsible for more than 70% of the total sales of electric trucks. The stringent government policies to curb vehicle emissions and incentives policies to purchase electric trucks in many countries such as China, the US, Germany, and Japan are the key driving factors for the global electric truck market. The governments in several regions such as those in the European and North American region have started enforcing stricter emissions targets. Moreover, the government of several nations are setting up new ways for providing incentives to fleets owners of electric trucks which is expected to lead to lower vehicle emission level and creates new growth prospects for new competitors in the market for electric trucks. Furthermore, the increasing concern for environment pollution through interior combustion engine vehicles is anticipated to have a crucial role in the growth of the market size for the electric trucks market globally. The strategic goals intended for the market are reinforced due to favorable product differentiation carried out by market competitors. The growth of the market is moving in a favorable direction due to new product launches or rising gross revenue of the players in the market. Significant reductions in administrative costs is inducing further expansion of the market. The vertical additions and product tactics of the market are boosting the potential of the market players. The development of a robust value chain is further motivating the development of the market. Increased adaptability of market players to new market trends and customers inclinations are lifting the growth curve of the market and will continue do so in the forecast period. The successful implementation of strategies is expected to motivate the market in the coming years. Dec 2018 DAF has made available its first all-electric truck to a customer as part of their test program. The truck maker partnered VDL Groep to make the electric powertrain for their CF truck, which comprises of a 170 kWh battery pack and a 210 kW electric motor.